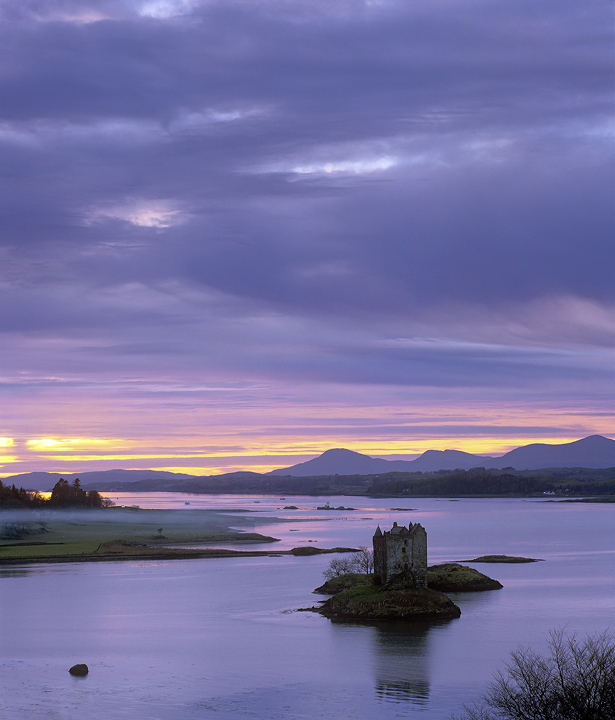 Whilst out with a small band of photographers, we took a second trip out to Castle Stalker but instead of taking a beach front location we opted instead for the rather restricted view given by the hillside that overlooks it. The view is fabulous at anytime but cables, poles and trees obstruct the view except for a very small number of viewpoints. The group clustered together quite necessarily like a coop full of roosting hens and we were treated to an utterly spectacular sunset. This was taken prior to reaching peak colour and shows some detail in the castle itself and more to the point a delicious band of mist rising off a field - what atmosphere.